The worldwide-known historic city of Venice continues to preserve a rather precarious equilibrium with the surrounding lagoon, although the margin of security is being eroded at an ever increasing rate. 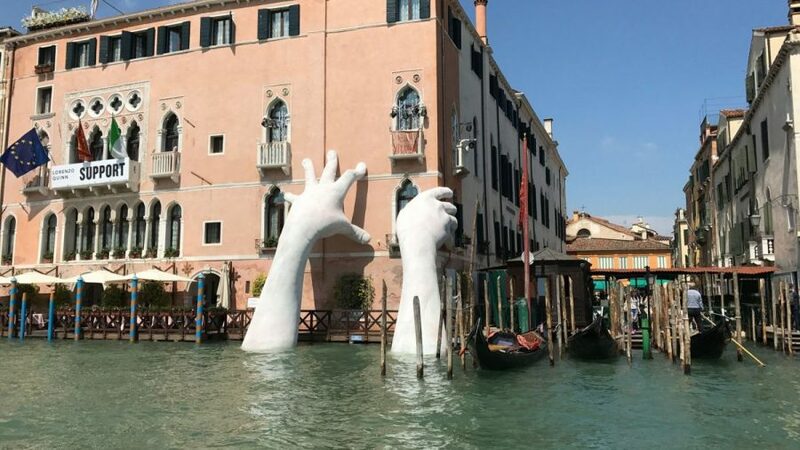 The rate of environmental deterioration is being accelerated by the increasing frequency of the flooding of the historic city – referred as to ‘acqua alta’ (i.e. literally ‘high water’) – caused by the natural eustatic rise of the sea level, by natural subsidence and by a regional man-induced subsidence, the latter particularly important between 1946 and 1970. From the late ‘60, several geotechnical studies on geotechnical were carried out and, to keep under control the evolution of subsidence, a continuous survey activity was at that time initiated and prosecuted up to nowadays. But the continuous increase of the annual frequency of the city flooding causing additional environmental damages, induced the Italian Government to start with several projects, the MOSE project – involving the design and construction of movable gates located at the three lagoon inlets, the INSULAE project, namely the artificial elevation of islands, on which the historic buildings are founded, and other smaller projects, such, for instance, improvement of old building foundations, erosion mitigation intervention in the lagoon including the reinforcement of the existing jetties at the inlets, fish farm reopening ect. Starting from the historic subsidence evolution, the seminar will provide a short overview of some relevant geotechnical issues that have been and have to be solved to realize the interventions to protect Venice and the surrounding lagoon from the increasing environmental deterioration.